Exciting news. Ticketmaster Presence was just awarded “Best in Sports Technology” at Sports Business Journal’s 11th Annual Sports Business Awards! Ticketmaster Presence is the next generation venue access control and fan engagement platform that replaces paper tickets with digital passes. Presence streamlines live event venue operations, provides real-time insights and analytics to venues and teams, enhances security, protects against fraud, and allows for a personalized fan experience. Ticketmaster is also developing and exploring new features for Presence, including facial recognition technology through Blink Identity. Presence is also a cornerstone of Ticketmaster’s official ticketing partnership with the National Football League. And since hitting the market just over a year ago, more than 100 venues have implemented Presence, and more than 13 million fans have entered venues using the technology. We’re honored to be named the “Best in Sports Technology” and know that Ticketmaster Presence and digital tickets will continue to change the way fans experience live events. And it’s all happening in the palm of your hand with your mobile device. It’s the kind of technology that venues, teams, artists and fans have been waiting for. Live entertainment has enamored fans for thousands of years. Iconic events, that captured the imagination, shaped cultures, defined eras and won hearts. But throughout all this time, one thing has remained the same. But that’s now a thing of the past, because with new tools and approaches, the future of ticketing is here today. At Ticketmaster, we’re always asking ourselves ‘how can we make live events better for everyone involved?’ Based on decades of experience, we saw a way to improve ticketing as a whole by replacing the paper ticket with digital technology. That understanding drove the creation of our newest product, Ticketmaster Presence, the next generation venue access control and fan engagement platform. 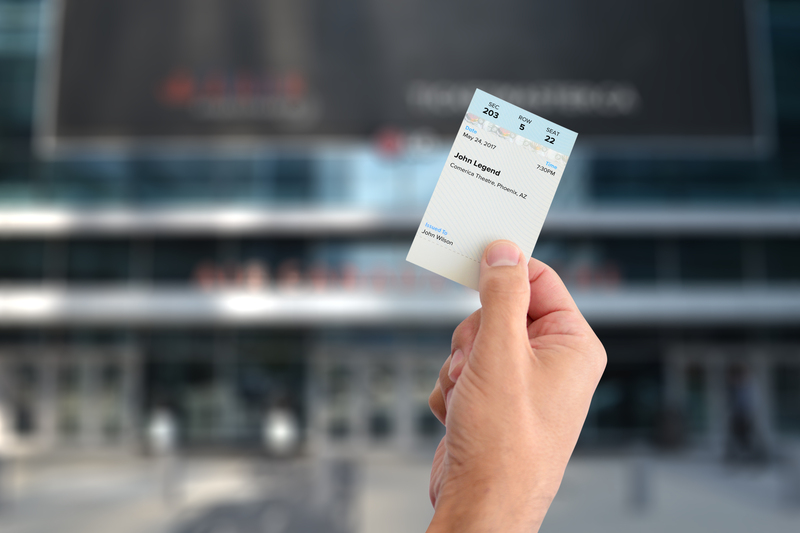 Presence replaces traditional paper tickets with digital passes. It’s built on Ticketmaster’s software platform and uses proximity-based digital technology to enable an easy to use ‘tap and go’ venue entry system. Venues install Presence, including mobile hardware and revamped software for real time map-based attendance reporting, event set-up, and enhanced ticket management. Fans simply use their smart device, like a phone or a watch, or a wallet-sized smart ticket with a built in unique ID chip, to enter a venue. Ticket management can be embedded directly into a venue, team, or artist’s mobile app, so fans can easily view, transfer – using text, email, Facebook Messenger, and more – and post tickets for sale directly from an app. The result is a streamlined, safer, and more personalized and enjoyable live event experience for all. But how can a digital ticket possibly do all that? What’s unique about Presence is that it replaces something outdated and inherently anonymous – a laser reader and a paper ticket – with cutting-edge technology that can be personalized throughout the entire lifecycle of a ticket. That means things like entry information, in-venue updates, upgrade offers, and any event changes can be communicated directly to the fan attending the show. In addition to providing a more engaging experience for fans, venues can increase security and decrease fraud by better understanding both who bought the ticket and who is in the seat at an event. 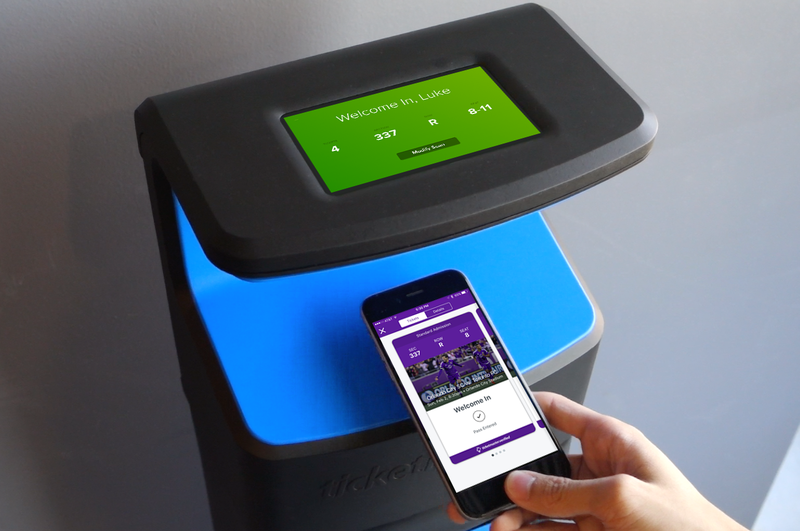 Our partners at Orlando City Stadium nearly quadrupled the number of identified new fans per game and have seen their instances of ticketing fraud go from 120+ cases per game to zero after implementing Presence into their stadium. To date, over two million fans have entered venues using Ticketmaster Presence. It’s currently live in 33 venues across North America, and will roll out to some of the most marquee concert and sports venues in our ecosystem by the end of the year. With live event fans snapping up 15 tickets every second on Ticketmaster, we know the popularity of live events continues to grow. That growth requires sophisticated technology to meet the increasing demands of both fans and the entire live event industry. I’m proud to say that Ticketmaster has successfully reimagined and rebuilt ticketing from the digital ground up, making that incredible live event that only happens once, better than ever.